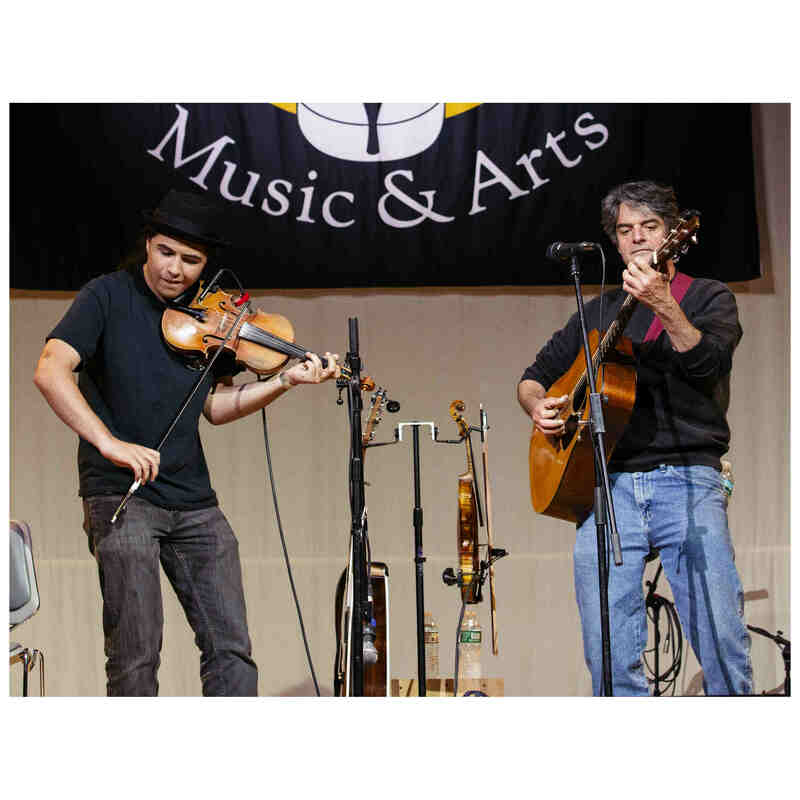 Gus and Peter come from different traditions, and their collaboration packs high intensity, performing with dynamic interplay between the fiddle and guitar. interpreting old and original tunes with a verve that makes for a highly entertaining show. Based in Downeast Maine, Gus performs both as a solo artist and with area musicians Peter Lindquist, and also Carl Karush. Gus’ music has also taken him beyond Maine. He was the 2014 student in residence at The Acadia School of Traditional Music, appearing on the Canadian international television broadcast from the Congrès Mondial Acadien 2014. He traveled to Ireland as part of the Young Tradition Vermont touring group in 2016, and has enjoyed playing the legendary Club Passim in Cambridge, MA. Peter Lindquist is a singer, songwriter and multi-instrumentalist who has toured extensively in the U.S. and Canada, and has also performed in England, Spain and France. His songwriting includes elements of bluegrass, folk and country music, often telling stories of the American experience. After many years away, Peter returned home to Maine, where he continues to perform and record, “fronting” his own band and working as a sideman and accompanist. Although they come from different traditions, their collaboration packs high intensity, performing with dynamic interplay between the fiddle and guitar. Peter and Gus interpret old and original tunes with a verve that makes for a highly entertaining show for all to enjoy.